Dumelang, bagaetsho ( Hello all) These little words can save your life in Botswana. Greetings are key and pivotal in Botswana culture. Oh, sorry you are probably wondering where in the world is that! Botswana is the land of diamonds and game. It was first spoken in Botswana! A picture speaks a thousand words! 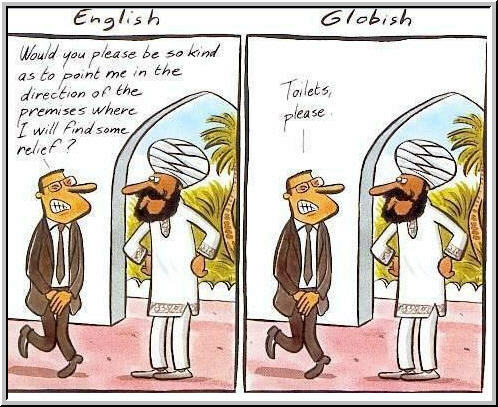 What a wonderful cartoon depicting the differences between Globish and the English language. 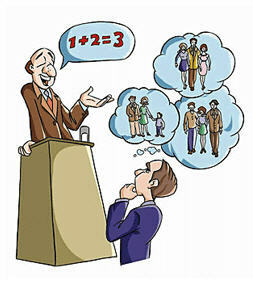 We’d better practice for better cross-cultural communication. across cultures. But, why and how has English made it’s way around the world? 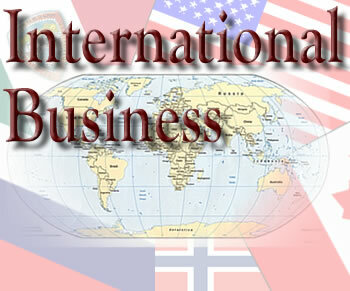 The main reason is that it has developed into “Globish” which is an overwhelmingly economic phenomenon. In a fascinating new book “Globish: How the English Language Became the World’s Language“, Robert McCrum offers a journalistic account which is both provocative and compelling of the rise of English and it’s impact on the world of economics, politics and culture. Is this revolution a creature of globalization,” Robert McCrum asks, “or does global capitalism owe some of its energy and resilience to global English in all its manifestations, cultural as well as linguistic? What’s in a Language….and what is not. My brief stories relate to my personal experience in different countries, linked by a common language…or not. I lived in London for a few years before going to Sydney, another English speaking place. Once there I found work and quickly noticed that my interactions with others were not quite fluid. Eventually an exasperated manager bit the bullet and challenged me one day, as I’ve been talking to him for some minutes. “Adina, what exactly is it that you want? Just tell me…??!! !” he interrupted. Slightly shocked by such abruptness I answered “Well…a meeting next Monday at 10 am if possible”, “No worries…why don’t you say so and waste my time…done…” and then he left…my English graces dismissed in an instant. The full impact of that story happened when experienced in reverse. Thank you, George (Simons), for directing us to this!